Torquay is famous for being the largest town on the “English Riviera” and a popular choice for thousands of visitors to Devon. Lee and Elaine Ratcliffe had been looking in Devon and Somerset for the ideal bed and breakfast business for a few months and after a couple of disappointments finally found Blenheim House Bed and Breakfast. 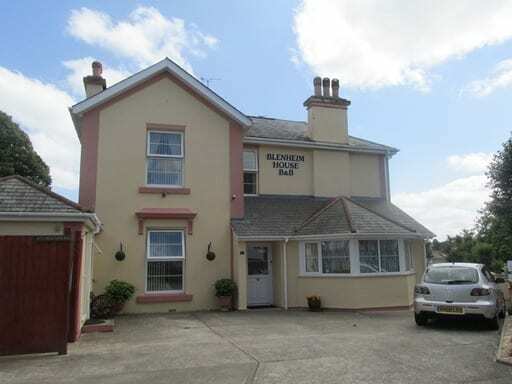 Blenheim House had everything they were looking for: good location close to the seafront and train station, just been recently refurbished (so wouldn’t need a lot of money spending on it) and a manageable 5 guest rooms. From the start of their search they were in touch with us at Stewart Hindley & Partners and we were able to provide them with a judgement on whether their application would be successful or not. It was a pleasure to work with Lee & Elaine and to see their hopes and dreams come to fruition, they are now welcoming guests and starting to build the trade to its maximum. If you are looking for a seaside break in the West Country then give them a call, you will be assured of a warm welcome. My husband and I came to a point in our lives when the children were leaving home and doing their own thing, so we decided to have a complete career change as well as a huge move from Manchester, where we lived all our lives and move to Devon to buy a B&B. Something we had no past experience with and no clue on how to go about starting the process of getting finance for one. We did a lot of research on different companies that deal with Commercial Mortgages and finance and came across Stewart Hindley and Partners. From the minute we made contact with them until we exchanged contracts for our new property, they were absolutely amazing. Our case manager was Carol Jones. Carol talked our language and made everything so clear to us. From doing business plans, arranging finance with a well know high street bank, something we could never have done without her. She even came along to the final meeting to complete the finance process. Carol and her team were always there to answer any questions we had and simply made what was such a stressful time in our lives, so much easier. We can honestly say, we would never have got through the past year without their help. They are truly an amazing team. We are now living happily in our new B&B called Blenheim house in Torquay Devon and we have made a new friend in Carol who we thank so much.